In May 2007, the Sisters of the Holy Family of Nazareth (CSFN) across the United States celebrated a new chapter in the life of the congregation as the five U.S. provinces joined together canonically as a single U.S. province – the new Holy Family Province. 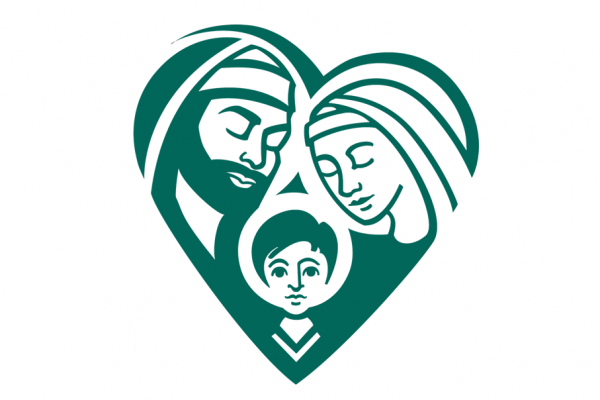 Six months later, Holy Family Province introduced its new logo – a stylized image of the Holy Family of Nazareth designed to convey, at a glance, the identity of the CSFNs in the U.S. Yet, as communication technology evolved and advanced, the 2007 rectangular logo became more cumbersome to use. Cropping and other alterations were needed to make it fit into social media formats, print ads and other print and online publications. In 2017, the Provincial Council authorized modifications to the existing logo. The intent was to retain the spirit of the 2007 logo while creating a symbol that would work for today’s print and online communication needs. Watch a video introduction of our new logo.